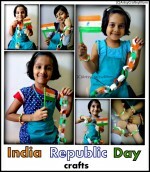 India Independence Day Special Crafts – Learn to make an adorable Paper Peacock and Crepe Paper Lotus – The National Bird and flower of India with Kids. The peacock is a symbol of royalty throughout the world and none more so than in India where peacocks live in the wild. 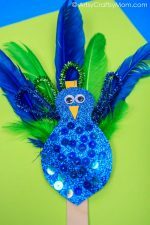 These peacocks make a great 3D display in the classroom or they can be hanging in the classroom from the ceiling. The peacock is the National bird of India. 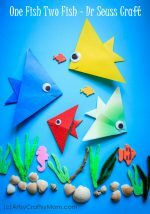 It’s certainly one of God’s most beautiful creatures, and even young children can make this easy paper craft. Cut out an 8 Inch circle out of green construction paper and an 8 shaped peacock body out of blue construction paper. Cut out beak and feet from Orange foam as shown in the figure. Stick the body onto the feathered green circle adding the flower stamen in between the two. Now stick on Googly eyes, the beak, and feet of the peacock. Dip your child’s finger in green and place dots around the back uniformly. Let dry. Then add blue dots overlapping the green dots. Finally, once it’s completely dry, using the hard end of a paintbrush, add gold dots on top of the blue. And your craft is ready. This was an old post and the crafts were done by kids from my apartment, way back in 2012. We used coffee filters, blue & green glass paints, Blue construction paper, googly eyes, orange foam, gold acrylic color, glitter & flower stamens. We added drops of blue & green glass colors on the coffee filter and then added gold dots. The art project was so cute. First, the kids colored a coffee filter with blue & green glass paints and I sprayed them with water. While that was drying, they put together the body. I just cut one free-hand. They glued on a beak and eyes and picked out some flower stamens for the crest. Those are taped on the back of the head. Added the eyes, beak, and feet. then after a good dose of glitter our pretty Indian peacock was ready. Then we made crepe paper lotus .. Lotus is the National Flower of India. Cut pink floral crepe paper into a wide rectangle, about 4 by 12 inches, with the paper grain running vertically. Another circle about 6-inch diameter in green crepe paper & a 3 x3 inch square piece in yellow. Make an accordion fold along the pink paper’s length – about 1/2 inches wide. Using regular scissors, cut “petals”: Cut into 1 long side at 3/4-inch intervals, leaving a 1-inch margin along opposite side. 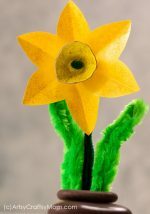 Without stretching crepe paper, cut rounded points at the end of each petal. Roll the lotus petals around a stick or finger and secure at the bottom with a tape. Coil pink rectangle, petals up, wrapping it snugly but not so tight that you stretch the paper. Starting with the outside petals, shape each by gently stretching and curving the crepe paper. Then bend the petals back to open the blossom. Roll the yellow crepe piece into a ball and stick to the center. I love that peacock!! We will definitely have to try that. I would love it if you would share at Sharing Saturday at http://craftymomsshare.blogspot.com/2012/08/sharing-saturday-32.html. Thank you!! What a beautiful peacock! Thanks for linking back to me! Thanks so much for sharing! Great ideas and a great way to teach young minds about our national emblems. Very cool! I always love the shots of the kids with their work. The smiles warm my heart. They are always so proud, too cool. Thank you for sharing at Sharing Saturday!! 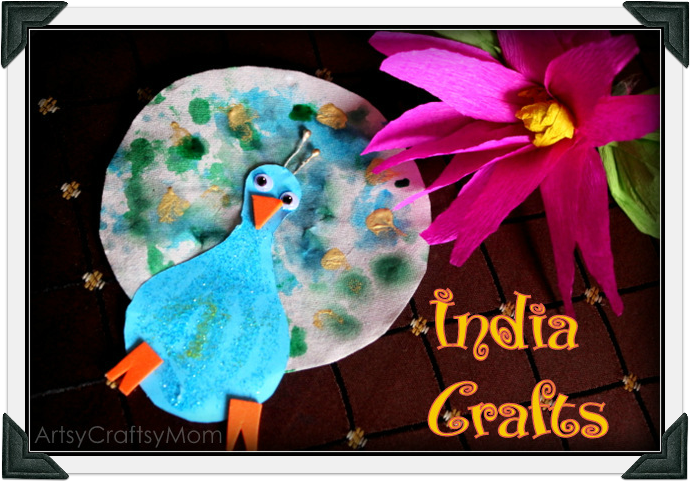 i can use the peacock craft for Deepavali craft as well. Neat.